The business partners of Swiss Dream Circus let us in on the realities of executing a successful circus season. As business partners of Swiss Dream Circus, Marco Baumgartner and Ismail Stork pool together their unique backgrounds and experiences that take their show to greater heights. Circuses have come a long way, from ensuring maximum security of performers and employing sophisticated lighting, to introducing superior sound systems. 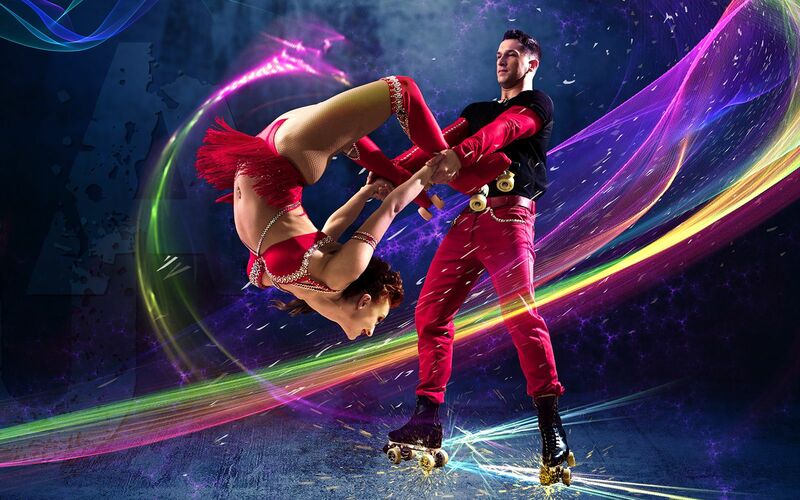 The recent Swiss Dream Circus in town was one such example, whose business partners, Marco Baumgartner and Ismail Stork, wanted to create a pulse-racing spectacle of their vision, featuring curated world-class acts and stunts. For a circus to nail an elaborate season requires a great deal of professionalism and hard work, and Marco and Ismail can confirm that. As a mark of Swiss Dream Circus’s second inaugural Malaysian season, we squeezed in a chat with the founders, discerning the realities and challenges that’s part and parcel of this performance arts carnival. The difference between modern and traditional circuses. Marco (M): A real-life human show is a great escape from the daily realities so for the audience to enter into the ' good' old times can be a very new exciting experience. Ismail (I): It's not much of a difference – each circus has a story to tell, we enhance the story line and create a magical theme each year, infusing traditional and modern circus elements. We aim to touch all ages through our show and let them see the value of it. The challenges of bringing the Swiss Dream Circus to Malaysia. M: There’s a different organisation culture and mentality here from Switzerland but it helps that Ismail is local and capable of managing that aspect. i: Challenges differ every year, in terms of managing manpower, ticket sales, set-up or dismantling of our big top due to the unpredictable weather as well as the equipment for the sound and lights. What goes on behind the scenes of putting together a majestic show, each night. M: The circus is my life, but the glamourous is just a little part of the circus. It’s not always easy behind the scenes, be it financially or simply technical or logistic difficulties. It also costs a lot to bring high quality performers over to Malaysia. It’s all worth it as they are professionals and give their very best. Circus is a passion, and it’s important the performers love their job in order to deliver a great experience every night. I: We go through the selection process together but it's his magic of curating performers that draws the audience to come back for more. Behind the scenes is always a beautiful chaos but with a touch of professionalism, responsibility and most importantly safety, you’re guaranteed an amazing show every night. Beyond the glamour and dazzle, the reality of being a circus performer. M: Travelling the world and doing the job of bringing joy to the audience is great. It’s the difficulty of performers as freelancers, when they are constantly looking for new jobs. Backstage, these performers are like regular people who go through typical ups and downs in life. I: The passion of a performer fuels them to explore circuses around the world. On prioritising the welfare of the circus artistes. M: As circus directors we don’t influence their training – we provide a working place for a period of time, supplemented with accommodation and traveling costs. But artists are responsible for their own safety – I usually work with performers I’ve collaborated with. When the cast like each other, the whole show has a great charisma. I: During rehearsals, we are focused with each act, from the music, lighting and the mood. I believe Swiss Dream Circus provides one of the best accommodations thanks to our amazing sponsors and supporters, so the artistes’ wellbeing a big priority. How Swiss Dream Circus stands apart from the rest. M: For us, it’s important to put together a quality show every year. I also want the audience to feel that personal touch in order to enter this dream world. Our show ends on a very personal note, whereby performers bid farewell to the audience outside the tent. I: We promise a brand new show every time, making sure it's going to be a memorable experience yearly. Our goal is to top our previous shows, and the quality and standards of our acts are amongst the best we have so far. How creativity inspires better seasons to come. M: It’s not just with new performers but also with new types of acts. It’s not easy to introduce better shows every year, but it’s a challenge I love and manifests new ideas for years to come. I: We are carving a name out of our company in the industry and we believe that our brand is one for performers to consider working with. It’s inspiring that artistes and performers from around the world want to work with you, and attracting them to be part of Swiss Dream Circus is an achievement. Watches & Jewellery Ask An Insider: How Is The World’s Most Beautiful Diamond Made?